benefits before you actually sell. According to thisismoney.co you can get a 50 per cent ROI for professionally cleaned carpets. But we all know even the best professional carpet cleaner in town can’t delete years of use and accidents. Either can your nose and your bare feet. So, imagine the ROI you can achieve if you buy brand new carpets that give your home the feel and scent of fresh, new construction. That freshness lasts a few years if you buy the right carpet at the right price. Carpethub is the obvious source for that carpet. That soft, tight weave of wool, polyester and nylon of wall-to-wall flooring is what we thrive on. 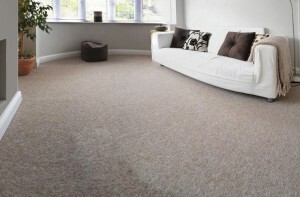 To work for the top flooring provider in the Bristol area you have to have passion for carpet. We have to be always on the cusp of ever- changing styles, which constantly keep us on our toes. We are not only sales people, we are well-studied consultants. Knowing your favourite colour doesn’t mean you know which texture, colour and style to choose for each room. These decisions can alter the entire atmosphere of your abode (and your potential buyer’s mood.) So, we recommend you take home a sample and view it in the light and context of your entire home. You’ll see how easy and fun that can be when you visit our showroom with its thousands of samples and dozens of knowledgeable consultants. What you might realise after discussing the entire lay out and flow of your home, is that you’ll even get more ROI if you refresh more than just the carpeted areas. Visions of a modernized kitchen, bathroom, mudroom and storage room may have you perusing our vinyl floor, laminate floor and wood floor departments. We can even help you accessorise to make your place look more stylish and designed. It’s a good idea to bring photos of all the rooms you’ll be flooring – our team members have seen so many rehabbed homes they can be considered flooring encyclopaedias! You will more than likely save time, as you’ll probably make your decision much faster than you would with one expert at hand. You’ll also save gas money, as our hub is conveniently located for Bristol area residents, and we offer plenty of free parking. We are never too busy to answer your questions. Our creatives can conjure up a feel that’s right for you. Got questions? Ask away! So send us a Quick Contact to get your home ready to enjoy and ready to market! Need new flooring? Need a deal?